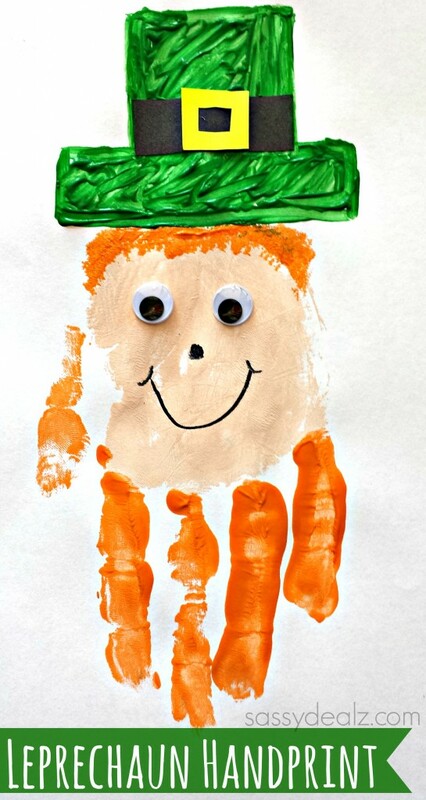 St. Patrick’s Day is always a fun one for the kiddos! 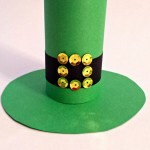 I have listed some of the crafts we have made to celebrate the holiday. 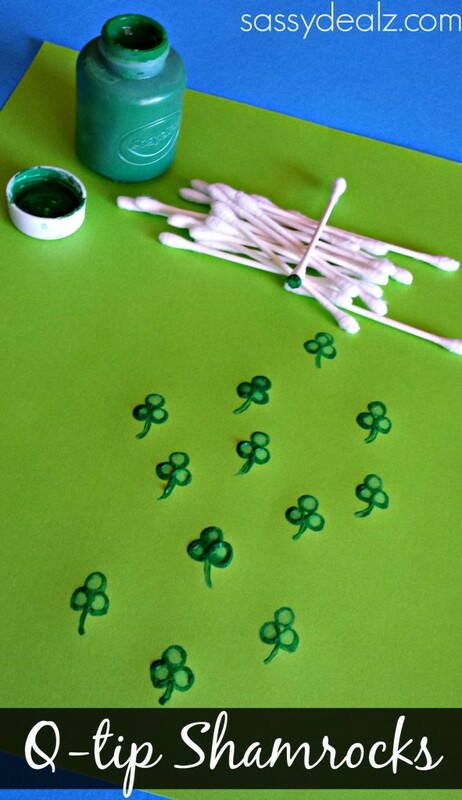 Just click on the photo or link to get the instructions on how to make them. 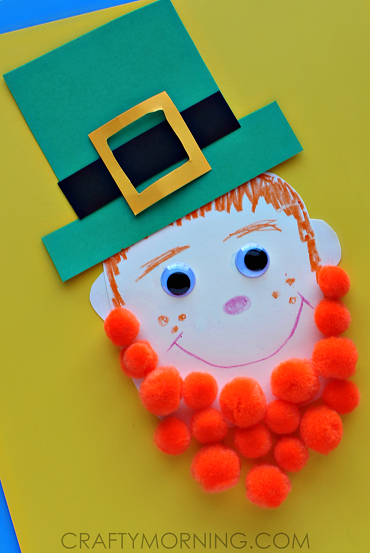 Hope you enjoy and share these easy St. Patrick’s Day kids crafts! 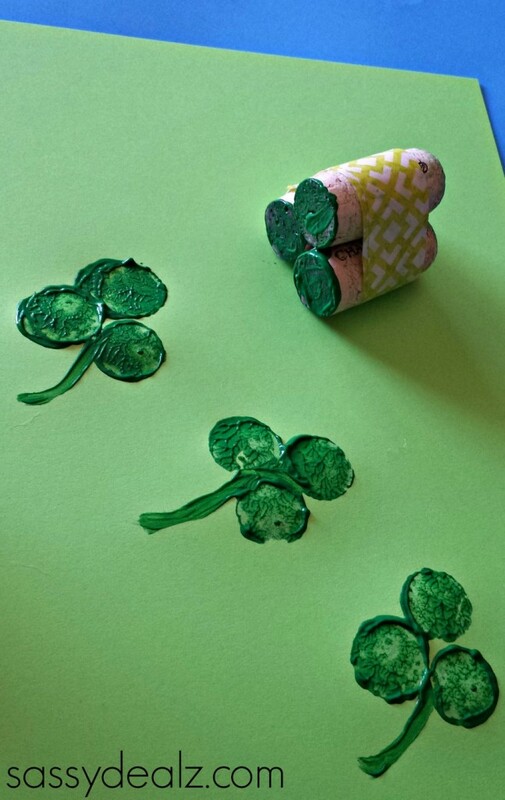 Grab a recycled toilet paper roll and use it to make a shamrock stamp! 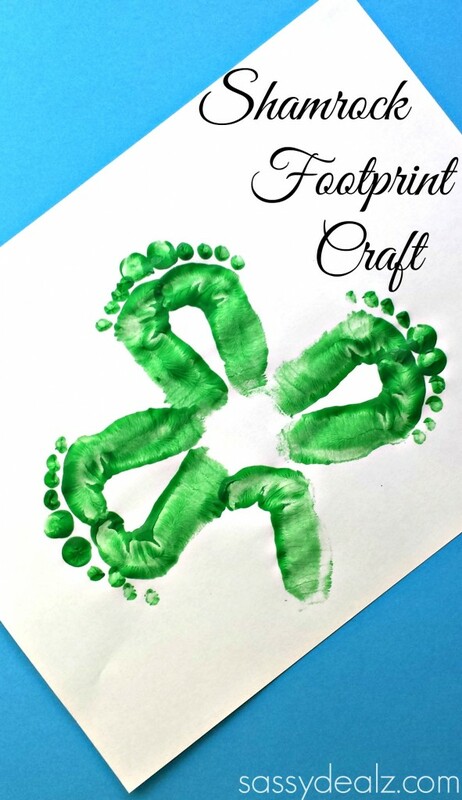 Using the side of your fist or a child’s footprint, you can make an adorable shamrock. 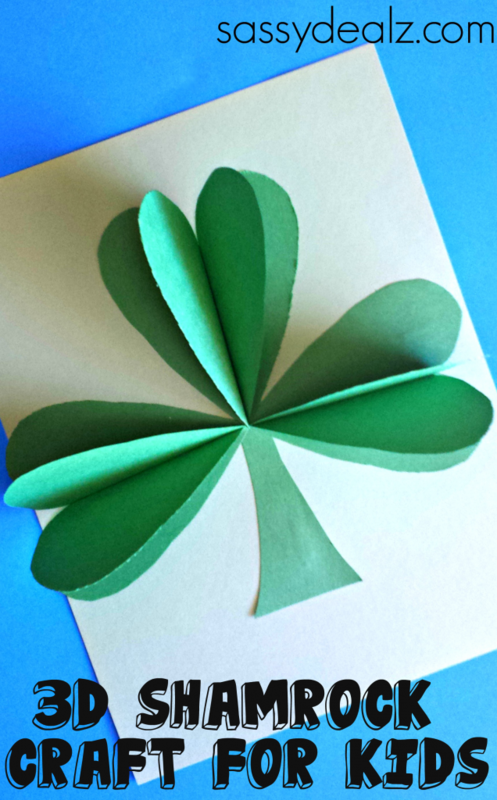 Cut three hearts out of paper to make a shamrock wand! 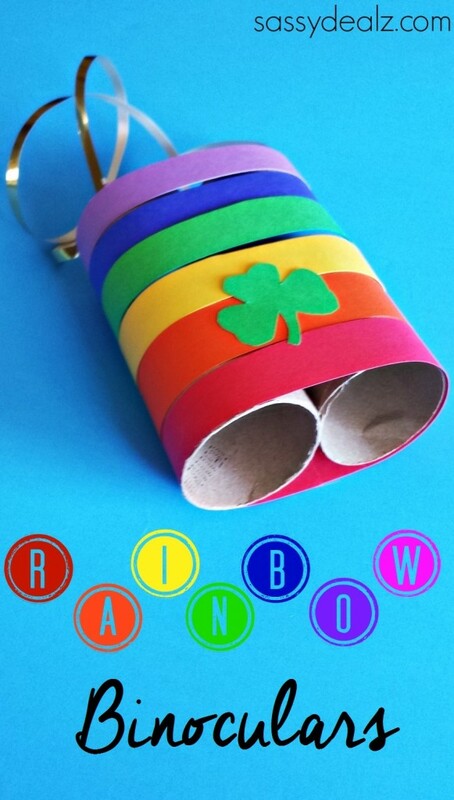 Make these adorable rainbow binoculars so the kiddos can go search for some Leprechauns! 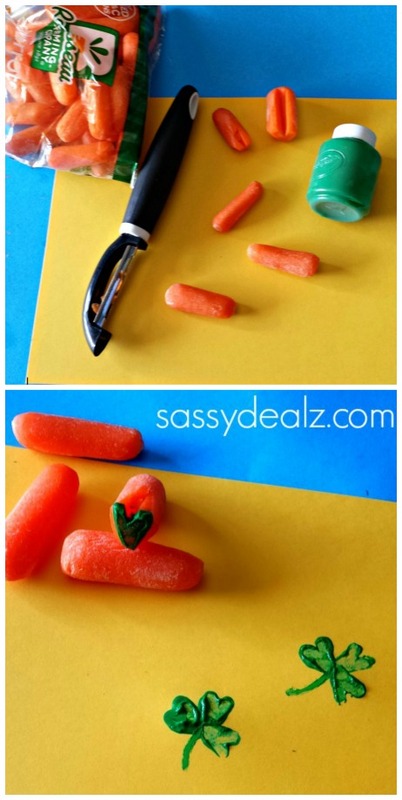 Cut a carrot into a heart shape to make cute little shamrocks! 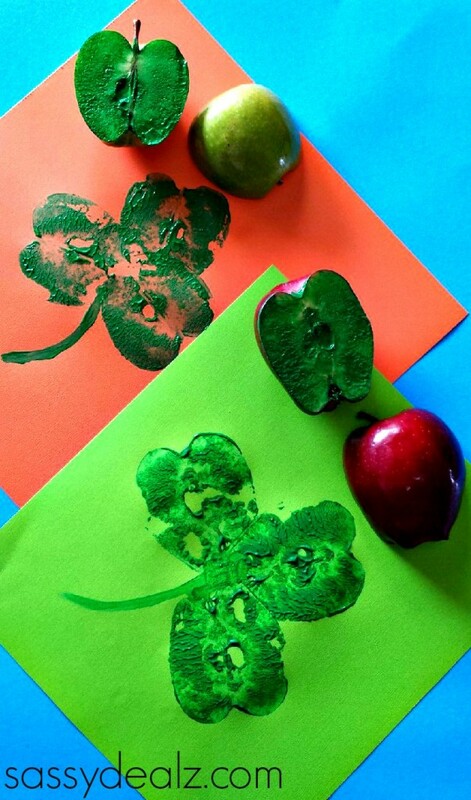 Cut an apple in half to make a fun shamrock stamper! 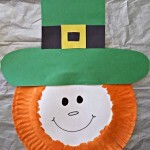 This is an easy paper plate art project where all you need is a little paint and paper to make a Leprechaun. 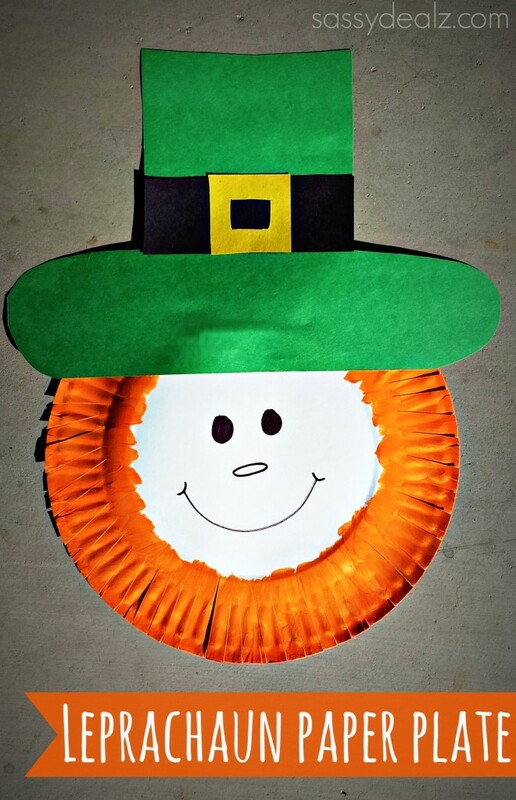 Head to your kitchen cabinets and pull out those cupcake liners! 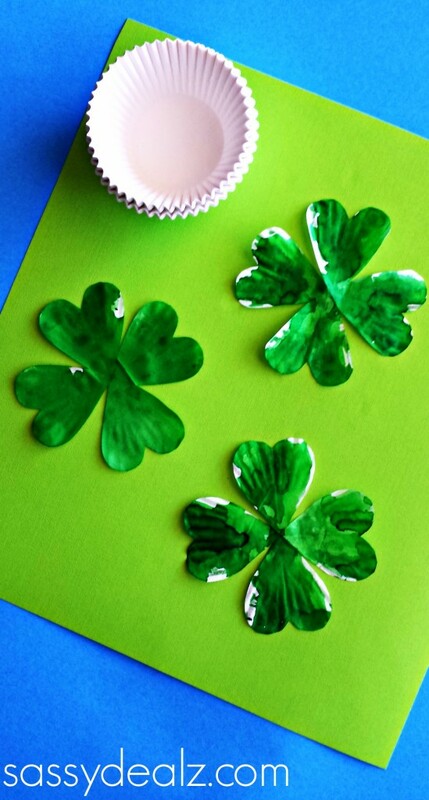 You can make these fun shamrocks using scissors and green food coloring. 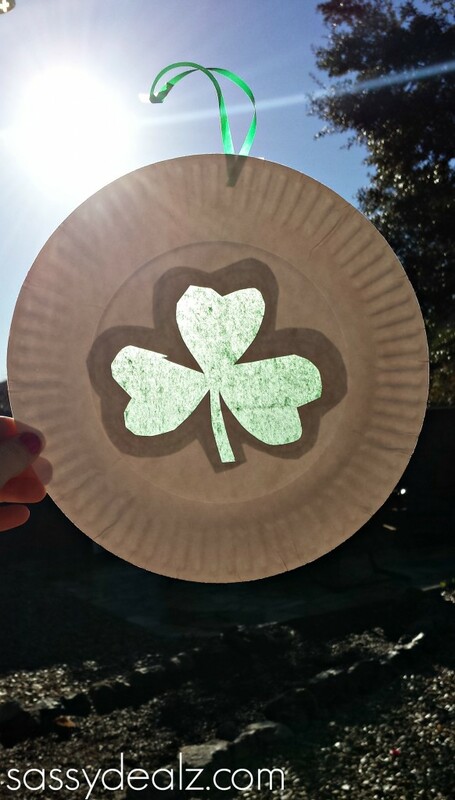 Using a paper plate and tissue paper, you can make this pretty shamrock sun catcher! 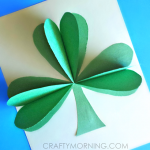 If you want to make your shamrock pop out on the page, try this tutorial! 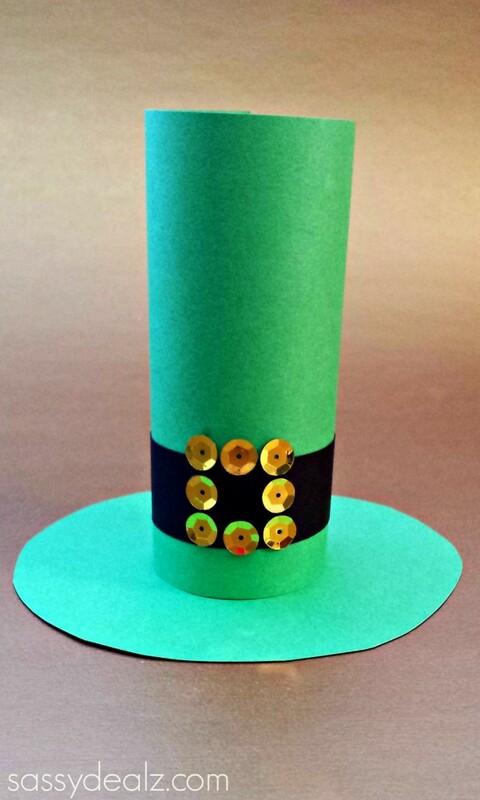 Using a recycled toilet paper roll and construction paper, you can make a cool Leprechaun hat! 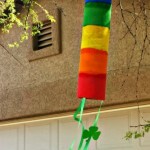 If you have a paper towel roll laying around you can make a rainbow wind catcher for outside! 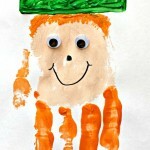 Using your child’s handprint you can make your very own leprechaun face. 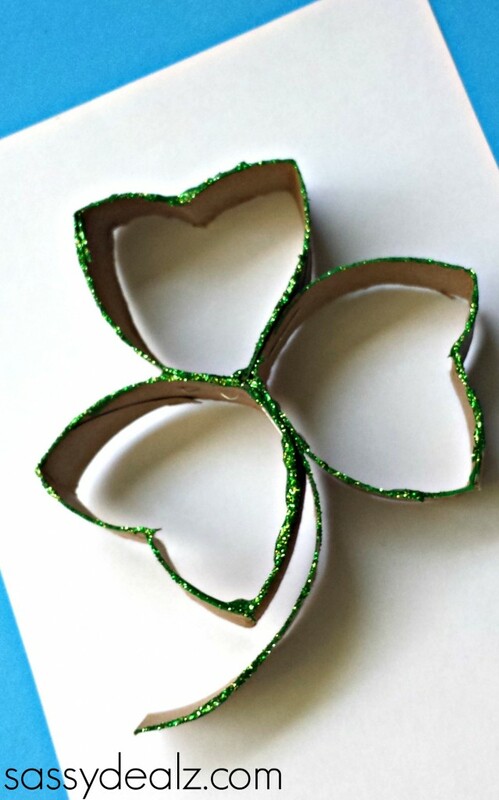 Cut up a toilet paper roll and staple the pieces together to make a glittery shamrock. 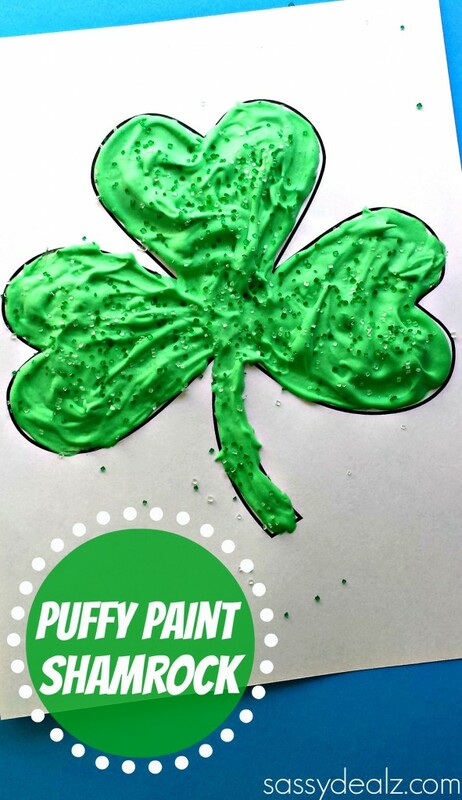 PUFFY PAINT! 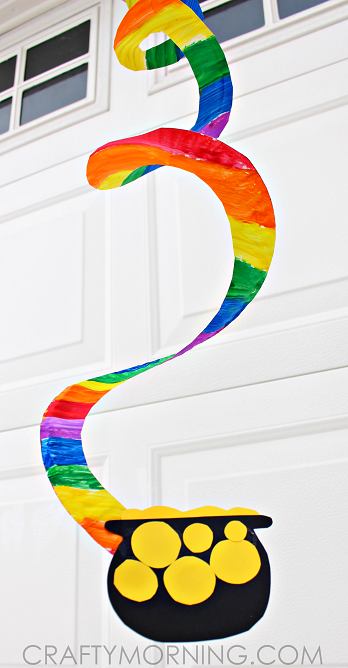 Who doesn’t love playing with shaving cream and glue? 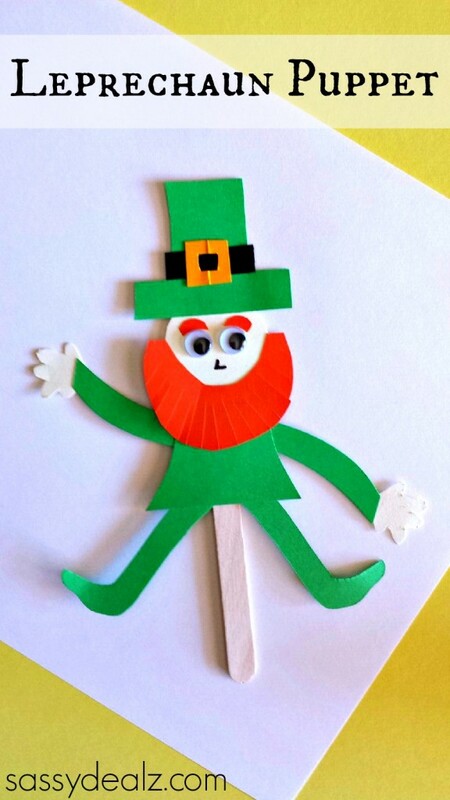 Have your kids put on a puppet show with this cute little popsicle stick leprechaun. 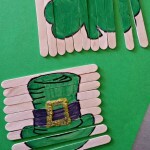 This is a fun craft for the kids to do that lets them get their fingers messy, yay! 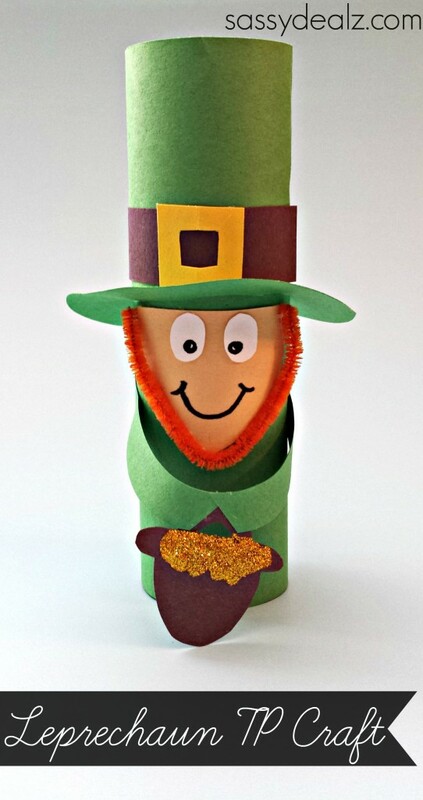 Make a cool leprechaun man holding a pot of gold out of an empty toilet paper roll and paper. 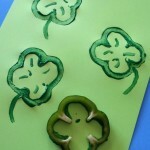 Before you cook dinner, cut a piece of green bell pepper off for the kids to make shamrock stamps! 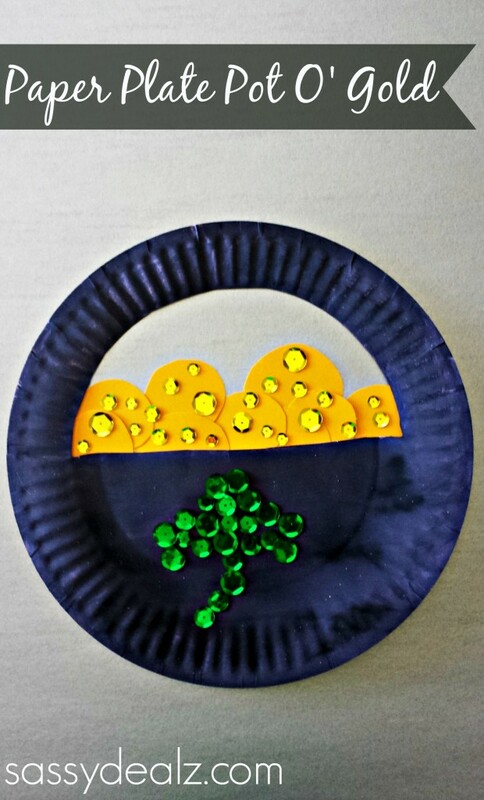 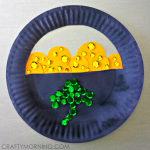 Turn a paper plate into a pot o’ gold using paint and pretty sequins. 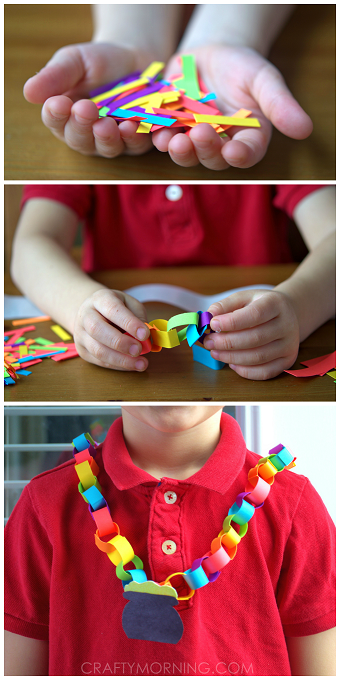 Make a rainbow chain with a cute little pot of gold hooked on the bottom. 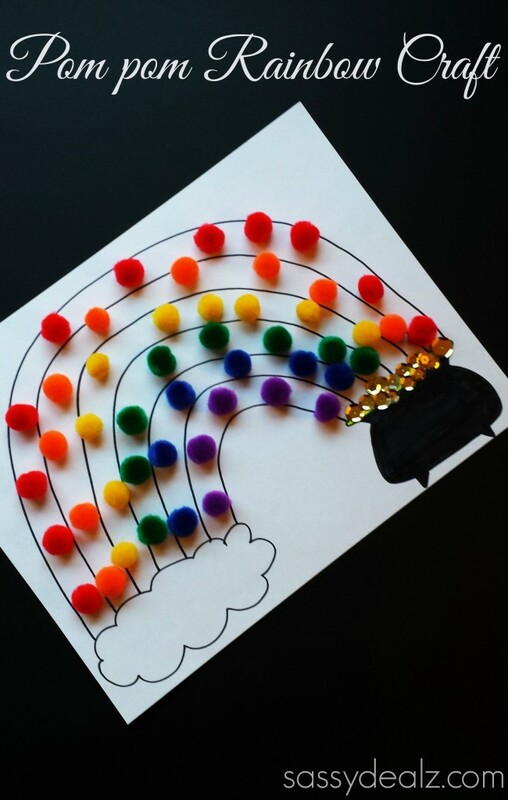 Have your child place colored pom poms over a rainbow coloring sheet. 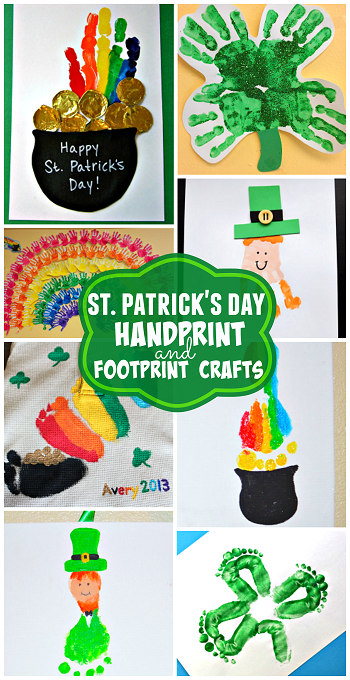 Tons of Leprechaun Crafts for Kids and Handprint/Footprint Crafts! 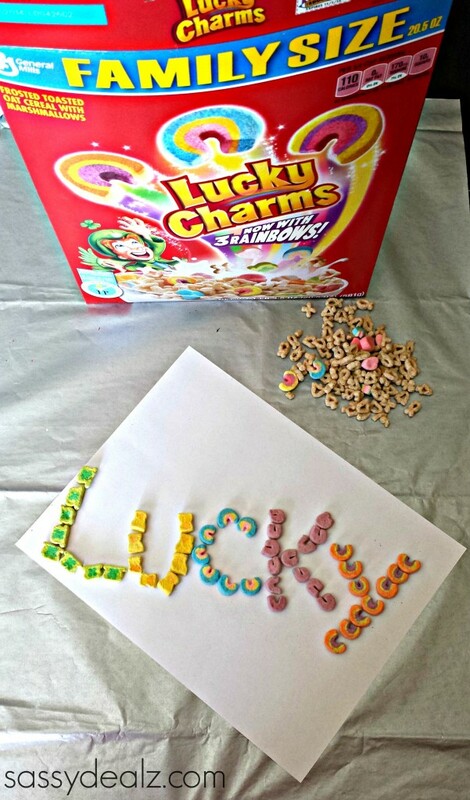 Bring out the box of Lucky Charms cereal to spell some St. Patrick’s Day words! 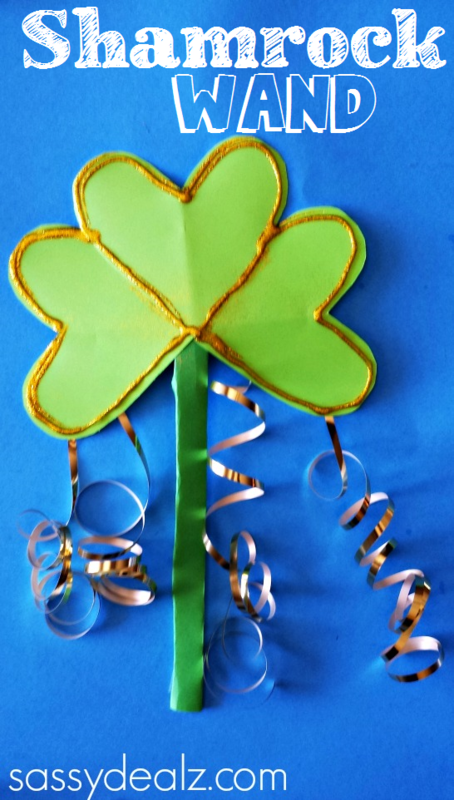 If you liked these, check out my other St. Patrick’s Day crafts for kids! 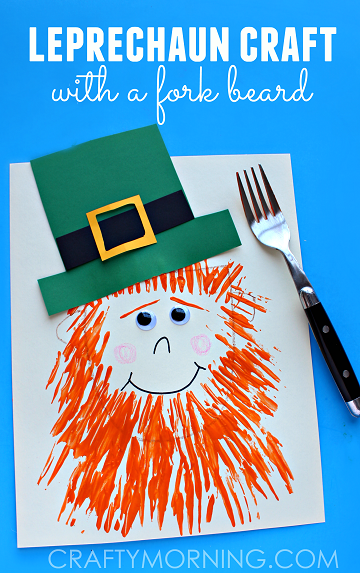 I am so impressed with your delightful & easy! 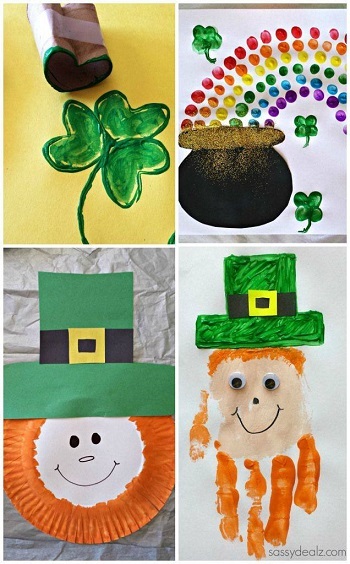 crafts for little ones. 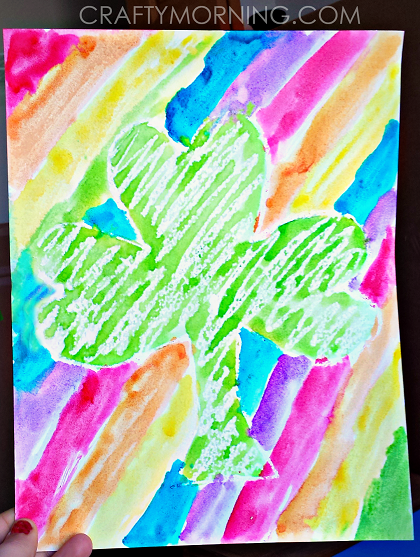 These are all keepers ~ I love the simplicity and the bright colors! 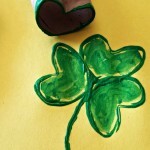 Thank you for these wonderful offerings! 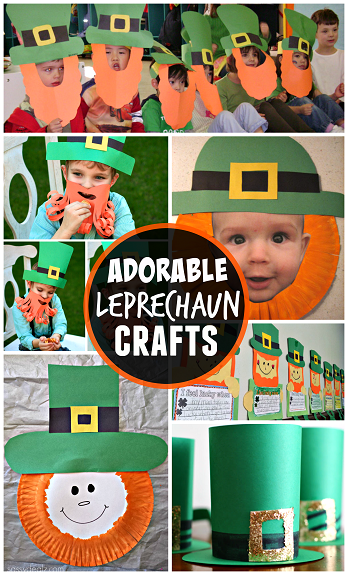 Can’t wait to try out some off these ideas with my little childcare group.